A.S.A. products save time and money on projects. Installation is fast and easy. We're a family-owned business dedicated to creating superior fiberglass products. We value integrity and honesty. Call us today to see if we can assist you with your aquatics project. The main distribution channel for A.S.A. MFG fiberglass products is our network of pool and fountain supply distributors. We have built our business model to ensure that our reseller partners have the products and information they need to deliver our top quality goods in their locals. We strive to maintain the right stocking levels on our inventory in order to provide quick turnaround on our orders. Our aim is to have our standard sump configurations and waterstops on the shelves, ready for shipment the same or next day. Many times, we can have your order on a truck and on it's way to your destination within 24 hours. Our web site contains a Datasheet Library for all of our fiberglass products. You can easily download product dimensions and features. Most of our orders ship UPS ground or LTL. Soon as the order has been fulfilled and the goods are staged for pick up, we will generate an email shipping notice to your buyer via email with Bill of Lading numbers or UPS package tracking ID’s for outbound shipments. 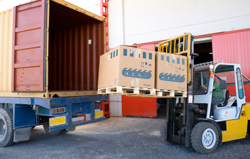 We offer a competitive freight program for distributors who place stocking orders. Call us to ask the minimum order amounts for free freight on your purchase order. If you need a customer drop ship, we can save you time by shipping directly to your job site or customer location. 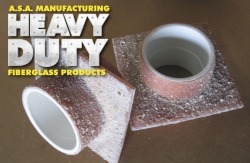 We have been manufacturing fiberglass construction components for over 20 years. If you have a custom order or a project that might be right for a fiberglass "drop in" solution, give us a call or email us your project specs. We will send you a detailed sales quote. Our product line was designed to save you time and money -- so give us a try. Our fiberglass "Legacy" style sumps are NSF certified to ASME A112.19.8a2008 standards as an alternative to a field built sump. When you spec or stock our sumps, you can be assured that, when coupled with a VGB grate, your customers will be in compliance. Our "Legacy" style sumps are compatible with most VGB grates, so you can keep our product on the shelves and use it with whichever grate may be specified on a project. This unique feature also gives your customers more flexibility at installation time. We include securing clips and adhesive in the box with the sump, so builders have exactly what they need on site, out of the box. More aquatic designers are choosing "gravity flow systems" as an alternative to direct suction. We manufacture standard and custom collector tanks which can be configured to your plan. Outlets can be placed per your drawings and we carry molds for a variety of tank sizes. There are many options available, so call us today to discuss your current gravity flow project. Our long time customers prefer our pre-fabricated aquatic construction components because the installation is fast and easy. The job gets done right! No forming, no pouring, no painting. This method saves builders time and money. Our fiberglass product line includes "drop-in" gutter systems, backwash sumps, precoat pots, waterstops, equipment covers and valve vaults all made of premium fiberglass and resin. We manufacture “heavy duty” equipment which is strong and long lasting. You can expect the highest quality and maximum structural strength from A.S.A. MFG parts. We use a monolithic forming method which is stronger and more reliable than heat-welded pvc.